What is Hippie Mulch Color? 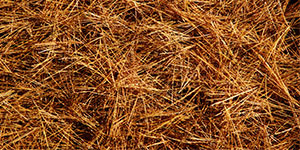 Hippie Mulch Color is a simple, do-it-yourself way to rejuvenate the look of your faded wood mulch or pine straw. This awesome, spray-on color will save you from buying new mulch year after year, by making your mulch look new again. We developed a fab colorant that clings to the base wood fibers for a rich color that lasts 1 year or longer and is totally safe for children, pets, plants, and the environment. Fixing your faded mulch with Hippie Mulch Color usually takes about 1/3 the time it takes to buy and spread new mulch. It’s easy to order Hippie Mulch Color online and have it delivered right to your door. Ditch the work! We know you have better things to do. Once you spray, you can forget about it! While your neighbors' mulch starts to dull, yours will continue to look fresh all year, and at a fraction of the cost! One 6 oz. jar of Hippie Mulch Color can save you over $100 in bread a year, compared to replacing 500 sq. ft. with new mulch. One jar of Hippie Mulch Color can save up to 8 trees. How...? Let me lay it on you: A 6 oz. jar of Hippie Mulch Color refreshes up to 500 square feet of mulch. By putting off adding new mulch and refreshing the color instead, you have, in fact, saved 4 trees from being used as new mulch in your yard. Hippie Mulch Color is made from a unique blend of pure synthetic iron oxide (the chemical name for rust) pigments and binders, which is a modified version of the same colorant used in pre-colored mulch you would buy at the store. By selecting only the highest quality ingredients that Hippie Mulch Color contains, homeowners are able to receive superior color coverage, long-lasting beauty, and peace of mind. "The process was a lot easier than I thought it would be, took less time, colored more mulch, and looked better than what I had imagined. I sprayed all the beds in the front yard and most of my side yard. I even sprayed the rubber mulch around the mailbox with it. I could instantly see a difference and it was easy to keep it off the planters and plants." "It's a great product. I would definitely recommend this to my clients since landscaping is a part of home staging... curb appeal!" "Hippie Mulch Color is really easy to use because all I have to do is add water and I don’t ever have to get on my hands and knees. I used Ringo Red and the color is really deep and rich. Nobody would ever guess it i sn’t new mulch. Neat idea!" "I recently applied Hippie Mulch Color to my garden. The application took just minutes and instantly brightened the whole area. I was glad to be able to use the existing mulch and yet have a refreshed new look to my garden. Thank you Hippie Mulch!"